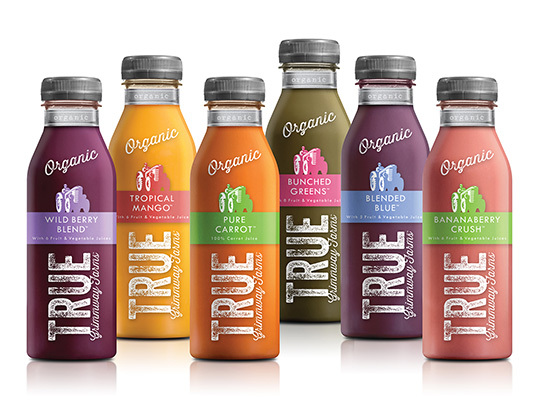 “McLean Design took a good look at the category and determined there was ample room for a homegrown, farm-to-table entry to compete directly with proven heavyweights Odwalla and Naked and celebrated upstarts like Evolution. 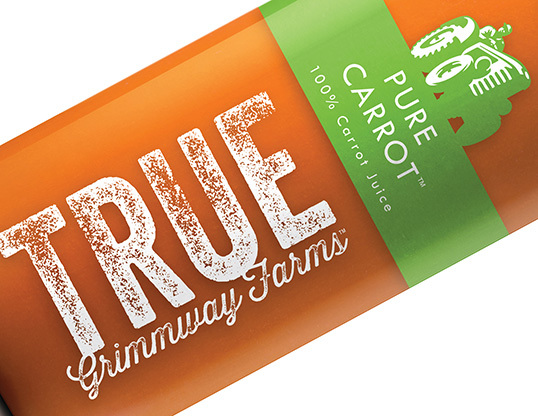 Named True Organic, the new line captures the small town nature of a family-run farm stand, with the farmer as hero of his own tale, bringing goodness straight from the earth to your local grocer. True to its name (pun intended), minimal labeling that reveals the juice proves the brand has nothing to hide — a stand-out among its shrink-wrap cloaked competitors. Love this look and the drink, too!